The installation build up pics of the Sonic Reveal click here for the FaceBook group. 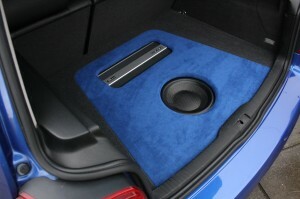 Jamie’s VW Golf R32 is having the fully matched Sonic Reveal car Hi-Fi system with a precision custom fabrication boot install which will be done for show and hide as the customer needs full boot space for every day luggage and possible viewing for future show attendances. All of the custom fabrication I do is designed for optimal music performance with a no compromise approach, the sub enclosure has been totally isolated fron the amp rack which drastically reduces vibrations from the sub getting into the amplifier and acccesories. This install has great practicality also durable enough for everyday use and abuse while still maintaining the very best sonic results even with the cover in place.